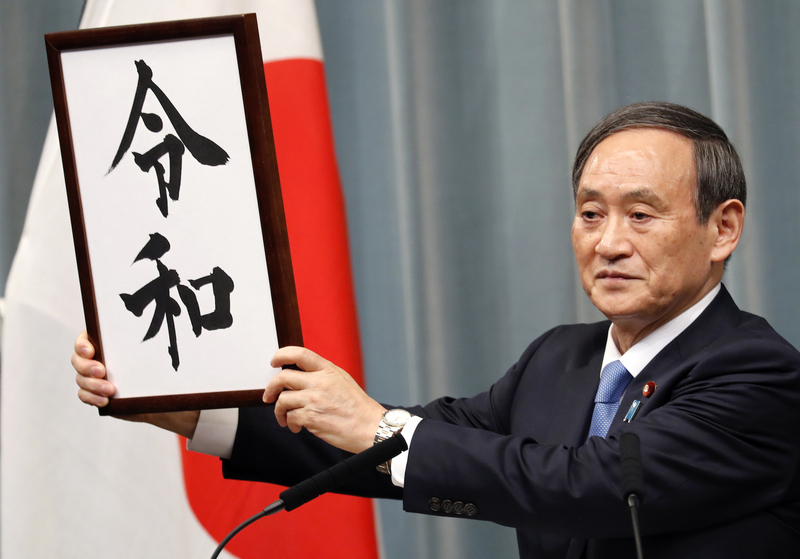 The name of the era of Japan's soon-to-be-emperor Naruhito will be Reiwa, the government announced Monday. The choice was a break from more than 1,300 years of drawing era names, or gengo from using Chinese classics. It was kept strictly secret ahead of Monday's announcement.